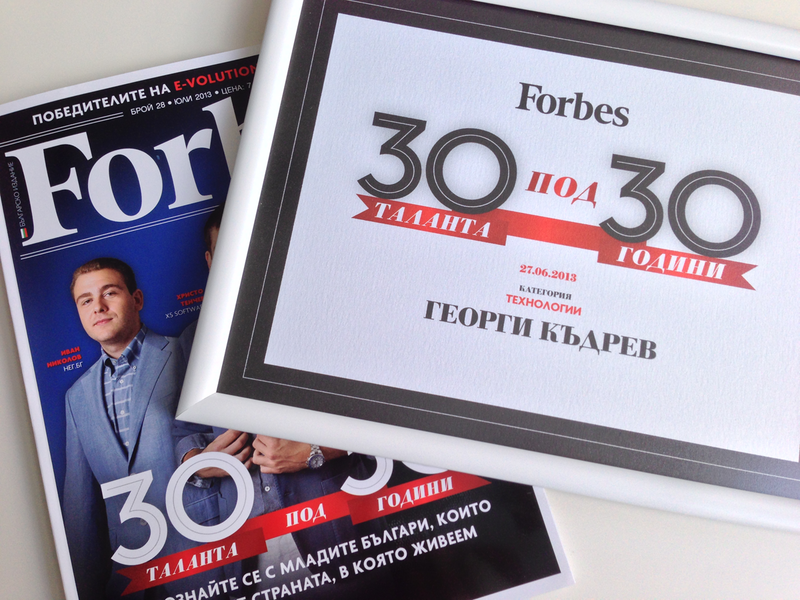 Forbes Bulgaria acknowledged Georgi Kadrev, 28, co-founder of Imagga as one of the 30 under 30 talents of Bulgaria. He didn’t make it to the cover, but may be next time with some even more exciting news about Imagga. Georgi has been one of the youngest tech entrepreneurs fired up to start his own business while studying in Sofia University. While most of the tech students strive for career in the outsourcing industry or big names like HP, SAP, VMWare that have offices in Sofia, Georgi was always thinking of changing the world by inventing new image analysis algorithms and making them commercially available. That’s how Imagga was born.